Continuing my research on progressives new look at states rights doctrine. 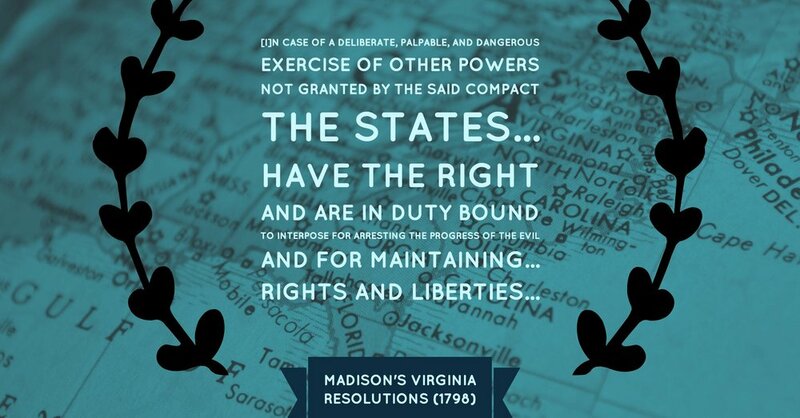 One need only look to the opening paragraphs of Madison's Virginia Resolutions (1798). Note: been working from original sources I recently purchased...a true pleasure.